More than 100 companies will present their most sophisticated products at the upcoming Navdex 2019, a major maritime defence exhibition in the Middle East, in Abu Dhabi, UAE. 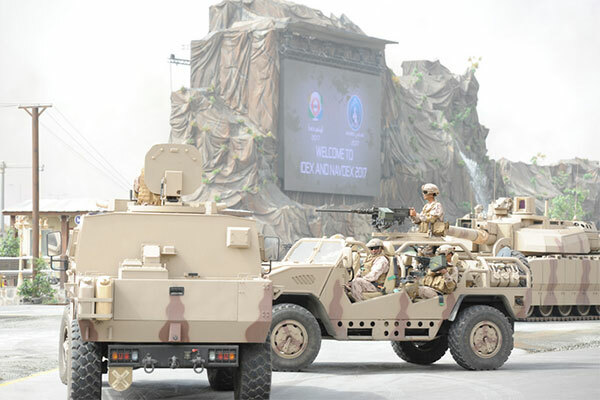 Held under the patronage of Sheikh Khalifa bin Zayed Al Nahyan, President of the UAE and Supreme Commander of the Armed Forces, the event will run from February 17 to 21 at the Abu Dhabi National Exhibition Centre (Adnec) concurrently with the International Defence Exhibition (Idex). The number of participating military units for Navdex is expected to increase by 66per cent to 20 units from 15 countries. Displays will range from frigates, supply vessels and transport vessels to naval mine hunters and naval patrol boats. The 2019 edition will also see the participation of four countries for the first time including China, Saudi Arabia, Thailand and South Korea. A transportation shuttle will link events held in the free port area, where large ships will dock, and the exhibition site and marine channel. This edition will also open the ships for visitors wanting to climb aboard the ships to learn about their capabilities. “We look forward to this larger version of Navdex with wider international and local participation that reflect the extent of developments by the UAE defence industries, now one of the leaders of this field in the region thanks to the support and directions of the UAE wise leadership,” he added. Al Dhaheri also noted that Navdex is a real platform to showcase the latest products in the maritime defence sector due to its great global interest and the participation of various delegations and dignitaries, such as leaders of armies, decision-makers and those interested in maritime affairs in most countries of the world. This is reflected positively by the participation of our exhibitors and adds value to this vital sector. Navdex 2019 is sponsored by a group of national companies specialised in the defence industry, most notably the Emirates Defence Industries Company (EDIC), the strategic partner of the Idex and Navdex 2019 exhibitions, in addition to the Abu Dhabi Ship Building Company (ADSB), the main partner of Navdex 2019.